Most Mid-market and Enterprise organizations compete in a challenging, everchanging marketplace. Success requires helping your people be as productive and efficient as possible. The workplace is now wherever your employees happen to be: at home, in a remote office, or a distant hotel room—needing access to email, applications, and work files from a PC, tablet, or smartphone. 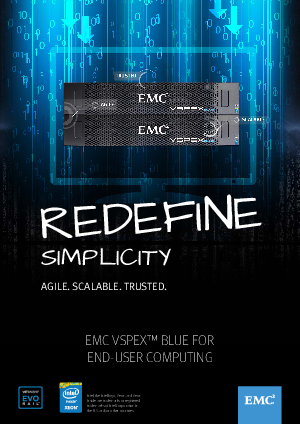 BLUE is a hyper-converged infrastructure appliance that provides high-performance, highly flexible, end-user computing for optimum business agility and productivity. Automating the provisioning of the complete deployment life-cycle enables business and IT organizations with operational simplicity and reduced risk.